The well-documented stress of moving hits me like many other complex, time-sensitive projects, i.e. I freeze up and don’t see how I can possibly take even the smallest step forward, up the mountain of impossibility. If that sounds like you, then preparing and executing a move is like dealing with a ticking time bomb. Eventually, our procrastination will catch up to us, and, most likely, it will cause us, our friends and family, and even the vendors we hire considerable pain. But maybe that’s not you at all. Maybe you start planning your move months in advance, so far in the future that your friends and family, by the time moving day actually arrives, are so fed up that they refuse to follow even the simplest of instructions. Starting any earlier is really over prepping, but putting off any longer than two weeks before the big day could result in you paying more than necessary. Even if you are “hiring” friends and family, a two-week window is the minimum to ensure their schedules are open, so you don’t look like a jerk expecting them to drop everything at the last minute. Make sure to get multiple in-writing quotes and review any customer comments. Remember to check more than the first few comments, and keep an eye out for the “crazy” person. You know, the person who flees to online reviews because the world did not confirm their existence at the center of the universe. This isn’t to say bad reviews are meaningless, but to suggest you read both positive and negative with a cautious eye. Once you inform your landlord you are leaving, they are going to start pushing for you to, well, leave. Most leases require at least a 30-day notice to avoid late fees. Make sure to schedule a time for a final walk through when you give notice. Taking this step will help you have a better chance of earning your deposit back. Don’t underestimate how long this takes or how many boxes you need. If you are trying to do supplies on the cheap, give yourself more time rather than less, as you will be at the mercy of kind businesses, strangers, and friends. Don’t forget tape, blankets, bubble wrap, labels, markers, and dollies. Having these essentials on hand will make final preparations and moving day run more smoothly. This is usually a pretty big stumbling block, no matter what your personality. No one wants to live with everything packed in boxes for months on end. However – true fact – your friends, a professional moving crew, and deep-down inside even you hate the moving day that must extend to include packing. So, start with the non-essentials. Pack up any extra bedrooms, closets, storage or garages, and everything in your office except your computer. Move on to the living room, your bedroom, and the kitchen. Put together an “open first” box the night before a move. Consider using labels (or at least scrawling yourself a note across the box) to give yourself some indication about what is inside. Keep all your paperwork regarding the move in one folder. You may be able to deduct some expenses from your taxes at the end of the year. Sit yourself down and make a list. This is the time to uncover any details you’ve let slip, blind spots, or assumptions. For instance, do you know how you are shipping your car, if that’s necessary? Have you planned out how you want both moving day and moving night to go? Think about where you will sleep and what you will eat that first night. Do you need any kitchen supplies to help you make it until you unpack? Call up your moving crew and confirm all the details. Think about any errands you have remaining. Return any library books, drop off dry cleaning, and wrap up similar details. 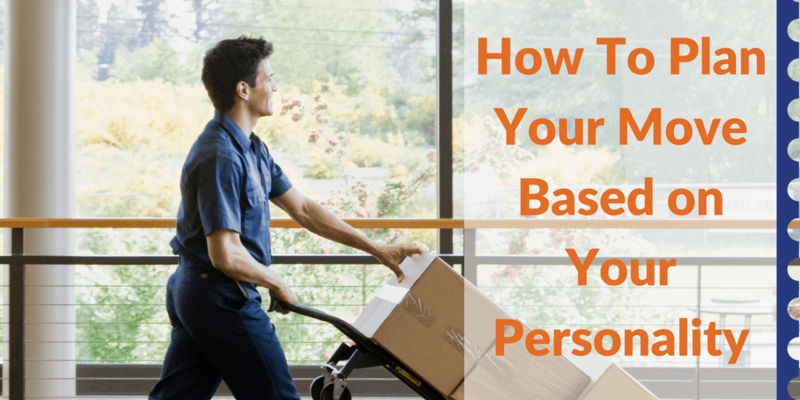 Walk through your house and apartment and make sure everything is packed. Move boxes into a central location, so the moving crews or friends can quickly understand what is going in the truck. Give yourself a pep talk too! If you’ve made it this far, then you are almost done. Nothing to do except move now. With all this in place, that will be the easy part. What do you think? Would this timeline work for you?